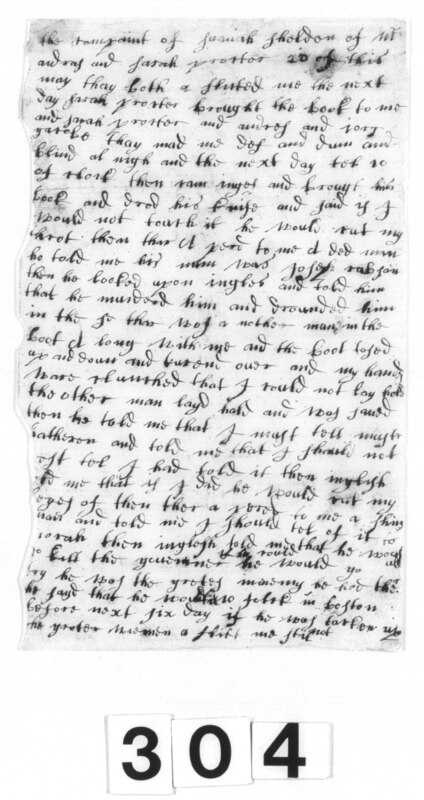 Source Citation Essex County Court Archives, vol. 1, no. 304, Massachusetts Supreme Judicial Court, Judicial Archives, on deposit James Duncan Phillips Library, Peabody Essex Museum, Salem, MA.